As another year draws to an end it's good to see the mod marching on. Breaking out the lederhosen for Sunday's final. Fullin & the Argies can go swivel. Brazil are so dramatic, it's like they're in a bad soap opera. Though a final vs Argentina would make for a fitting finale. Germany vs Holland wouldn't be bad either. The World Cup is great, FIFA & Blatter are c**ts. MP3 to wave is a simple conversion I'd imagine. You just need the mp3 in a decent bitrate. OK, OK you can have the Falklands, just show us the video. How about an equestrian sculpture? 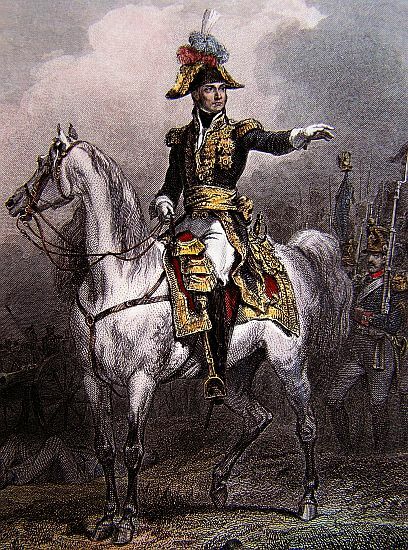 Marshal Lannes looking all pimp and commanding. On a lighter note you think Putin and Kerry swap plastic surgery tips? Topic: NEW LOC UNIT DEVELOPED!!! Re: NEW LOC UNIT DEVELOPED!!! Fullin can you make him wear his hat whilst he's looking through the spyglass? I would like to make the info card for this unit. It's the big yellow button that says 'Donate' on it. No wonder you never cut the mustard at [N]. There's a donation button at the bottom of the [N] forum. VC runs the account and it funds Lordz TS.